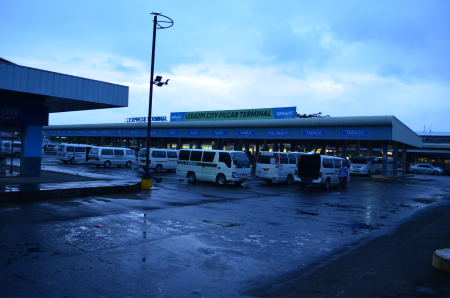 The terminal of jeepneys and air-conditioned UV Express Service vans are located opposite the main bus terminal of the city called Legazpi Grand Central Terminal. 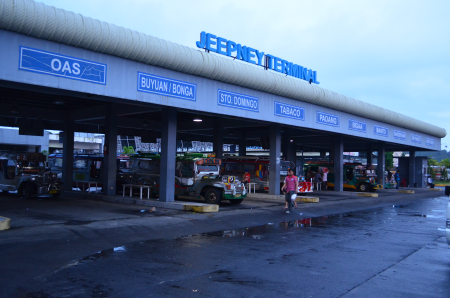 The jeepney terminal and UV Express terminal are situated in large area called LKY Metro Transport and Lifestyle Hub.If you are headed to a town or city served by these jeepney and van terminals, all you need to do is walk across the Access Road between the Legazpi Grand Central Terminal and LKY Metro Transport & Lifestyle Hub. LKY Metro Transport & Lifestyle Hub is a small commercial center where a lot of services and establishments are located. Aside from a big supermarket owned by SM, also found here are: courier and parcel services, photography services shop, food stalls, fast food joints, souvenir shops, comfort rooms, waiting sheds and more. You can get to LKY Metro Transport & Lifestyle Hub from any main city street of Legazpi City such as Rizal St by riding a jeepney with "LKY Metro Terminal" sign attached at the windshield of the jeepney. Enjoy your trip! 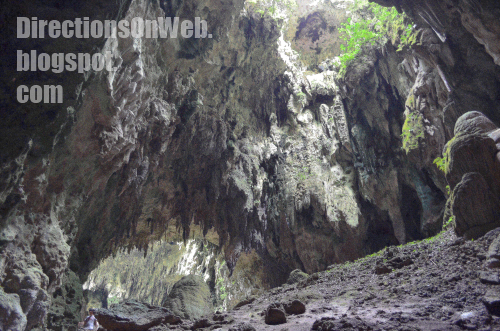 How To Commute To Legazpi City's Tourist Spots? Where To Stay In Legazpi City? What & Where To Eat In Legazpi City?